Family owned and operated for nearly 50 years, Volle’s specializes in building quality relationships with each and every bride that walks through our doors. Our highly trained staff has almost 200 years of combined experience. After years in the business working with top designers, Volle’s Bridal Boutique carries one of a kind dresses. Our dress designers include Allure, Azul by Liancarlo, Blush by Haley Paige, Calla Blanche, Eddy K, Fiore, Lazaro, Maggie Sottero, Martina Liana,Matthew Christopher, Mikaella, Paloma Blanca, Pronovias, Stella York and TiAdora. We pride ourselves on carrying gown styles and samples for brides of all sizes. Make Volle’s Bridal Boutique your one stop shop for both your bridal gown and your bridesmaid dresses. Save yourself the hassle of dragging your bridesmaids to shop after shop and enjoy styling them in our newly remodeled bridesmaid boutique. The bridesmaid boutique is filled with top designs from Occasions by Haley Paige, Bill Levkoff, Sorella Vita, B2 and Belsoie. Once you’ve said YES to your dress, it’s imperative that the fit is just right. Our European trained staff specializes in fitting gowns perfectly to brides bodies. In additional to our world class fitters, Volle’s staff is highly experienced in gown customization. Can’t say I do without your groom. Mr. Tux is on site to outfit your grooms, groomsmen and all the men attending your wedding. With over 40 years in business Mr. Tux makes sure your groom says I Do in the finest bridal fashion. With in stock inventory we are able to dress your groom from head to toe to preview his wedding day look. “fiance” give you butterflies? I know it did for me, it made me giggle every time I referred to him as my fiance. Being a soon- to-bride is just as exciting as planning your wedding. Planning your wedding shouldn’t feel like work, if so you are doing it wrong! Allow yourself to enjoy every second of it because you only get to do it once, so let loose and have fun! Every brides dream is to look like a princess on their wedding day. So finding the right dress is ideal and takes most of your planning time. Here are some tips I can give you. Start looking for your dress as soon as you and your fiance set the date. Ordering a dress can take months to arrive, usually your receive your dress 3 months before your wedding date. So depending on what dress style and designer you pick, time will vary. Some places might take 9 months to a year in order to get your dress in. Before you make any appointments, make sure to collect some ideas and dress styles you like. Some of us knew what they wanted before they got engaged…*cough*cough, I knew exactly what I wanted. Make sure you do your research on what each bridal store has to offer, what designers and styles they carry. I had the chance to look for my wedding dress at a local boutique in Lake Zurich called Volles Bridal Boutique. A boutique such as Volle’s is so unique because of it’s history as well as the interior of the store. The staff was very friendly, helpful and made the experience fun and stress-free. So why go to a boutique versus going into a big chain store that seems to have everything. I’ve had experience on what it feels like to walk into a boutique vs chain store. There is a ‘je ne sais quoi” feeling about a boutique. I find them very unique and with lots of personality. You never know what to expect to find in them sometimes. There is a warm welcoming feeling about walking into a boutique verses a chain store. I personally find chain stores very cold and mechanical and sometimes the staff is very rude and careless. Then it feels just like any other retail store at the mall. Boutiques are very personable in a way, clients get to receive their own attention making them feel very important. The best part of experience at Volle’s was that the owner, Deanna, was very much involved with helping me find the dress. I had tried on a couple of dresses and they were all so pretty, but I knew what dress I wanted. Lazaro was my dream dress. I showed it to my consultant and was told that this specific dress style was not in store. I was very bummed at first, but Deanna came to me and told me that they can bring in the dress for me. We made a second appointment and I was able to try on the dress and then I knew it was THE dress. I was in LOVE again, for a dress..so I said”YES to the dress. At the time, my fiance and I decided to have our official wedding ceremony a month or two after I said yes to the dress. So I needed a second dress urgently since the ceremony was not our wedding date. We were still a year away from our wedding date. I went to Volles again, and had to ask if it was possible to get a dress in less then three weeks and of course it isn’t. BUT they had some sample dresses in my size and I asked if they could sell me a sample dress. Deanna is very kind and I was able to get a dress. It fit like a glove and looked brand new! Of course it needed some alterations! They do everything in their alterations department and their seamstresses are very reputable. I was very blessed and lucky to walk out of Volle’s with two wedding dresses for two different occasions. Volle’s made it possible for me, and it was truly the best customer service I have ever had. I can guarantee that you definitely get the royal treatment at Volle’s! Baby’s-breath is making a come back. Planning a black tie affair or a shabby chic rustic wedding,baby’s breath can be bundled to make some amazing budget friendly arrangements. Send your bridesmaids down the aisle with some forever flowers, check out these wooden and clay bouquets. Blingy hair pieces aren’t for everyone, finish your hair off with some seasonal flowers. Carry out your floral dreams with a whimsical floral chandelier. Check back with us next week for tips and tricks about picking the perfect venue. We recommend purchasing your dress one year prior to your wedding date. Most gowns take about 6-8 months from first stitch to last snip. In addition to the 6-8 months for the dress to be created, you’ll want to leave time for alterations. Depending on the dress,alterations can take 2-3 months. Our best advice is to shop early and enjoy the process rather then rush through and be stressed. The smaller the group the better. We get it, everyone wants to be included in the process of picking the perfect dress, but remember and repeat after us it’s YOUR dress. You need to love your dress and have probably dreamed about what it should like for months, don’t let others opinions stray you from your dream dress. Do a little research and have a budget in mind before shopping. 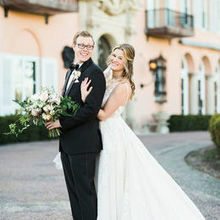 Volles serves brides with budgets ranging from $1400-$8000 Make sure you communicate your budget and desired style to your consultant so you can say YES to your dream dress while staying within budget. The Knot offers a great wedding budget calculator. Chances are, you’ve probably been dreaming of your wedding day since you were a little boy or girl. You may even have the perfect dream wedding completely planned out in your mind– but I’d be willing to bet your dreaming didn’t include the part where someone has to pay for everything you picked out! Traditionally the bride’s family pays most of the wedding expenses. Although this rarely applies these days. The line of who pays for what in today’s day in age is definitely blurred. 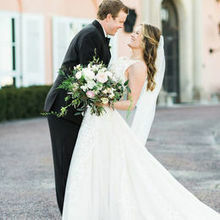 Traditions say it is the bride and her family who are to pay for the dress, accessories, flowers, photography, transportation, and the grooms ring. 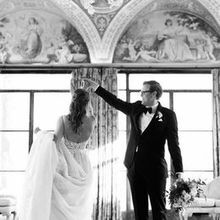 As for the groom, it is tradition that his family and him are to purchase, the brides ring, the grooms attire, his gift to the bride, the officiates fee, plus accommodation and transportation, rehearsal dinner, lodging for the wedding party, and the marriage license. Although these “rules” are traditional, they are meant to be broken based on what is best for you and your family. Buy your undergarments and bridal shoes. You must have your wedding day lingerie and shoes for all your fittings — a simple bra switch or change in heel height can cause your dress to fit improperly. The first fitting usually takes place about six weeks before your wedding day. Just like when you were shopping, it helps to bring one eagle-eyed friend or family member along for advice. And don’t forget your shoes, bra, and slip — along with any other accessories you have purchased — so you can see how everything looks together. That your seamstress knows what she’s doing. A seamstress will most likely have an assistant (who could be the salon salesperson or another member of the salon staff) who helps you get into your gown. The seamstress should then begin looking for places where your dress needs to be taken in, let out, shortened, lengthened or altered — hence the term “fitting”. About a month before your wedding, you should have a second fitting. Again, bring along your foundation garments, bridal shoes, jewelry and any accessories you plan to wear on your big day. While she’s busy fitting your gown, take a close look at the way the material falls and notice how the waist feels, how the chest area fits, etc. Is there any funny puckering, bunching or bulging? Look closely at the stitching, embroidery, or beading. Does everything seem well-sewn? Look in the three-way mirrors to view all angles, and ask for another hand-held mirror if necessary. Speak up if you see anything that you don’t like — or forever hold your peace. This is your time to be demanding, so give into any bridezilla impulses. The seamstress should be able to tell you why each problem exists, and what can be done to fix it. Of course, don’t expect miracles. This is why trying on the sample gown was so important: You should have had an idea of what you were going to get. But you are also paying big bucks for this gown, and it is your prerogative to have as many fittings as it takes to get the perfect fit. On that note, don’t forget to schedule your next fitting before you leave the salon. There are so many different bridal bouquet types, so your wedding bouquet style is up to you. Start your search with bridal bouquet pictures for inspiration. Search for types of flowers and colors you want for your wedding theme. Keep in mind the season of the year, depending on what time of the year will dictate what flowers are available. You don’t want to break your bank either! Once you have gathered your inspiration pictures, present them to the florist or wedding planner so they can create a look for you. Cascade: The dramatic cascade bouquet features a “waterfall” of flowers that drapes down the front of the arrangement. Vines and orchids are popular in creating that look. Hand-Tied: Freer that other bouquet styles, hand-tied bouquets can include a wide variety of flowers and greenery. To finish it off simply use ribbon, fabric, or twine to secure the bouquet. Hand-tied bouquets have a “fresh-picked” feel and are ideal for bohemian or rustic weddings. Round: Round bouquets are formed into perfect domes, often using a single type of flower like roses or peonies. They are also often monochromatic, although they look just as beautiful featuring flowers in a variety of colors. Nosegay: Similar to posy bouquets, nosegays place more emphasis on greenery. They are great options for bridesmaid bouquets, due to their small, compact size. Pomander: Perfectly round spheres of blooms from the sweet pomander bouquet, which includes a ribbon handle at the top for carrying or displaying. We’ve seen them suspended from shepherd hooks along the aisle, and they are also perfect for flower girls.